Madame Ngo is another restaurant by my friend Duc the owner of 893 and Kuchi in Berlin. 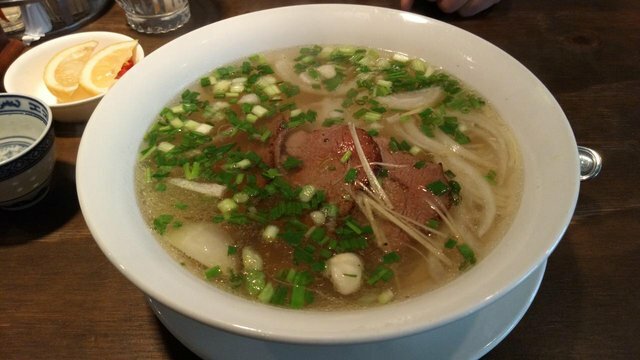 It is a very authentic Pho Place and you can enjoy fantastic tasting Vietnamese Pho Noodles. My favorite is the Pho with Filet Mignon. The Pho is phenomenal but the Filet Mignon gives it the final punch. Amazing. 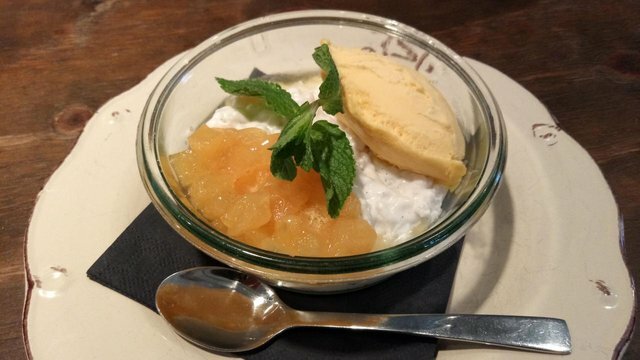 The dessert is really super super cool, it was basically Vietnamese Coconut rice with a Mango Icecream with fresh Mango. Ever had Pho with Filet Mignon ??? steemit all the way check out my new post. Hmmmm not at all bro...so there's something like mango ice cream. And how does fresh mango taste with white rice? You second picture looks like beef emersed in water sprinkled with spiral onions...how does that taste? I can assure you it is fantastic how they do it in madame ngo! It was a great meal!! Berlin is a great place for my trips, i allways discover new things!! I am sure you can find a good vietnamese restaurant that serves it in your hometown! Wow looks delicious! I love all types of Asian food and am glad to see it become more and more mainstream. Thanks for your post and photos! The cool thing is that there are so many variants of Asian food and they are all great!! Hey @knozaki, Once again with new place!!!! Pho with Filet Mignon, the Vietnamese soup Look awesome, i have heard alot of this Soup but never tried i think I have to try it . . . . 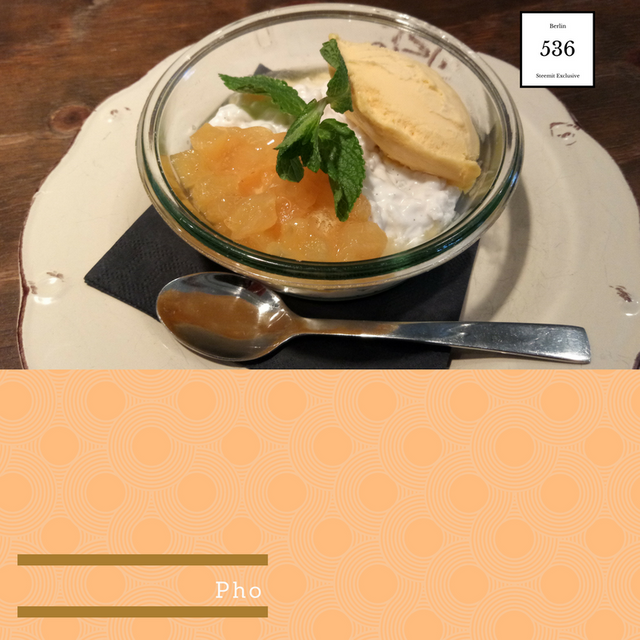 I am sure that you would love it, just search a good vietnamese restaurant that serves it! Tell me after that what you think of it! It was great man, thats why i wanted to share it with you guys! Thanks for your kind comment, it is allways great to hear such positive things from my followers!! And i can tell you that the taste was awesome, really well done vietnamese food, their chef is really talented! I haven't tried that. But with the exquisite way you have described it, I definitely will. I love the way your posts are elaborate and explanatory. first time i visited your post. This is great article. happy to see your content. I followed you. Good luck for further. One of my favorite, Vietnamese food ! It is really hard to describe Pho because it is a really rich and fragrant dish! I really recommend you to try it!! wow you get mango in this season!! Amazing food. If you find the right place you can find it all year around! 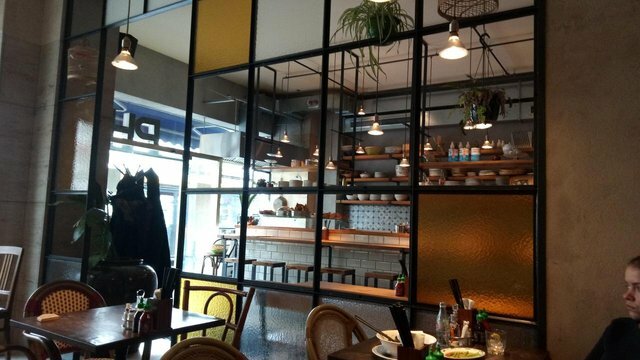 never tried a Vietnamese dish but it looks very tasty and the restaurant is beautiful. mmmmm mango coconut and rice I represent like this. good post. I like this. It is something really special! So the "Pho with Filet Mignon" is made from Vietnamese Coconut rice with a Mango Icecream with fresh Mango. Looking at first to the photo of the Pho with Filet Mignon intrigues me but when I saw the description, I now understand why it looks like that and it sounds and looks delicious. That Vietnamese Pho Noodles also looks tasty. The coconut rice with mango was actually the dessert, the main course was Pho with Filet Mignon and it was really really good! I have a cold and this soup looks like it would do the trick! I used to eat Vietnamese food when I lived in Canada -- and loved it!